Do you have an imaginative mind and like to explore different angles and play of light? Are you someone who has a keen eye for camera-worthy moments? 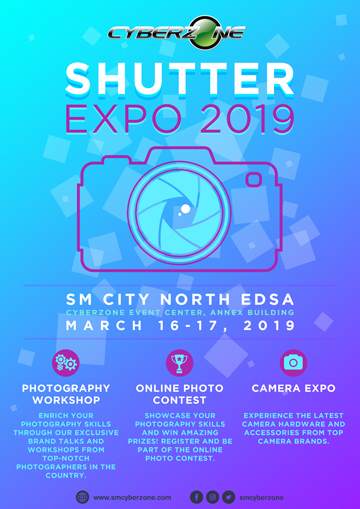 Get your shutters up and running as Cyberzone gives photography enthusiasts a platform to capture picture-perfect shots, navigate cameras like a pro, and catch the latest trends at the Cyberzone Shutter Expo – a photography convention happening on March 16 and 17 at the Cyberzone of SM City North EDSA.